A must read for truth seekers I think. 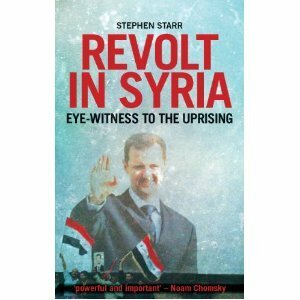 This week we were lucky enough to chat with our Syria correspondent Stephen Starr, just as his book, Revolt in Syria: Eyewitness to the Uprising (Hurst 2012) is coming out. He sheds some light on one of the most intriguing of all the Middle East countries. The reviews are quite startling. Yes i thought so well worth a reblog.